One of my favourite weekends of the year! 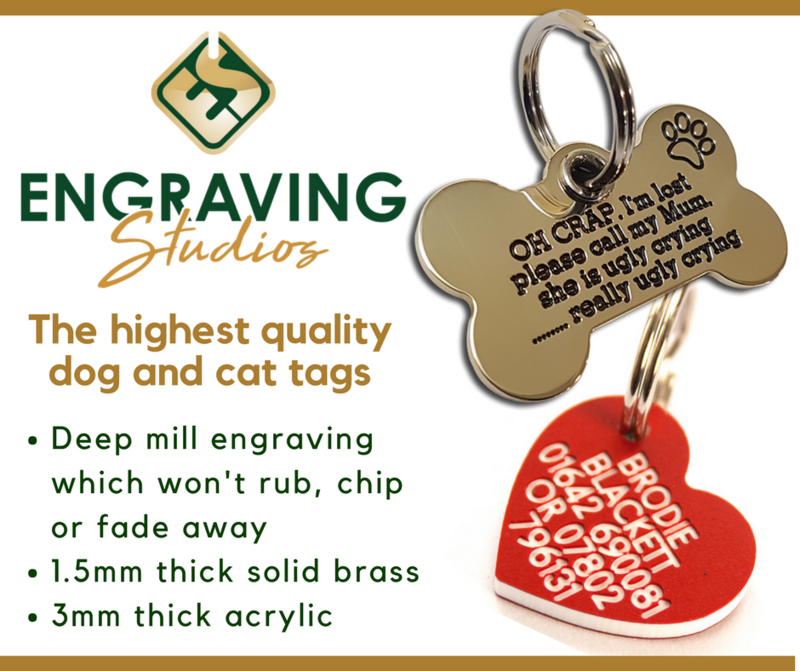 Once again it has been another exciting year taking part in the National Pet Show at Birmingham’s NEC last weekend. 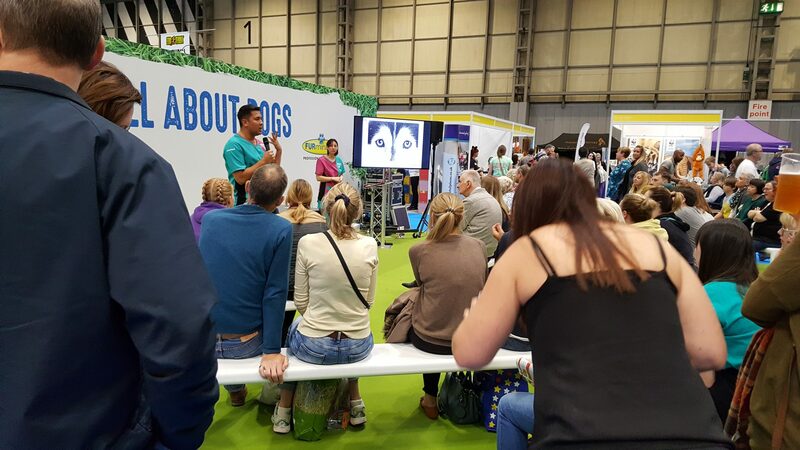 Working within the PDSA we love getting involved in these events and meeting pet owners from all over the country. 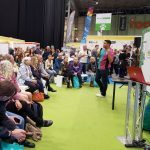 The National Pet Show never fails to deliver and there is never a lack of new things to see and do. 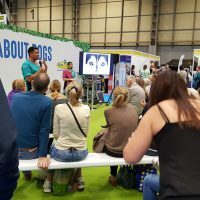 I was lucky enough to be able to present my very popular educational talk on canine communication. 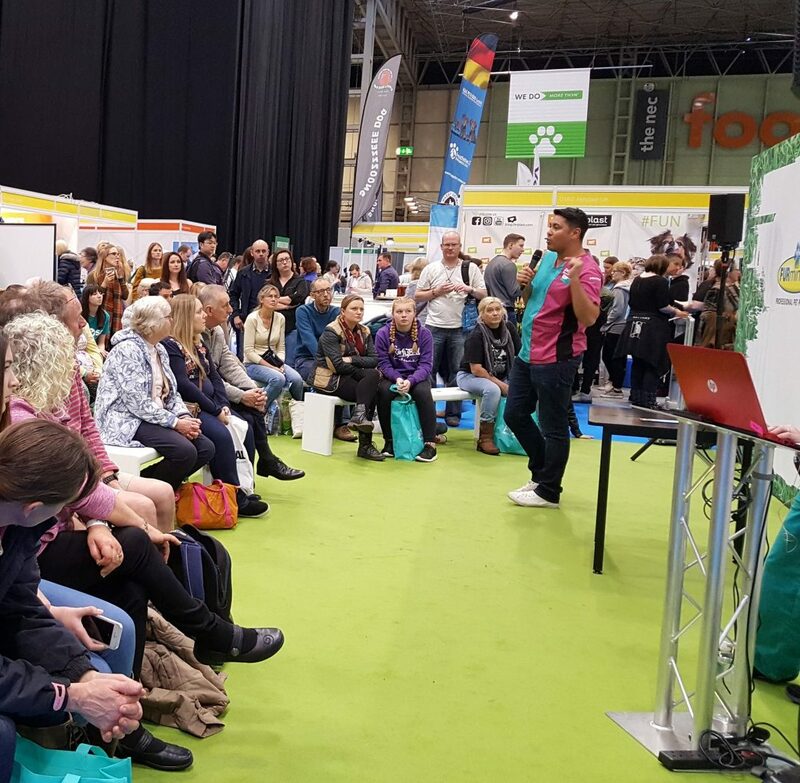 It was fantastic to see so many people interested and turn out to listen to me speak about the importance of trying to understand what are canine friends are trying to convey to us. 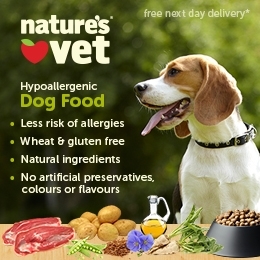 Some of my favourite displays and always worth a mention is the Dogs with Jobs feature. 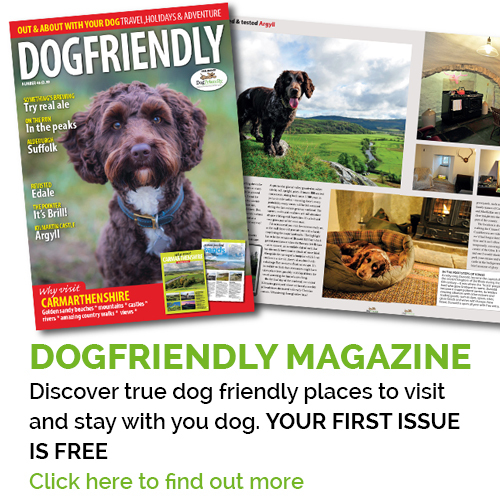 Police, Therapy, Service and Search and Rescue dogs are so vital to their owners and handlers, and the jobs that they are required to do can be overlooked. Meeting the trainers of these dogs with such remarkable responsibilities is as inspiring as it is humbling and it was great to be able to make time to pay my respects to these fundamental members of our society. Not forgetting the cat lovers amongst us, I was also able to catch some of the annual Top Cats competition. I am glad I was not judging as there were simply too many outstanding entries this year! Every year the turn out for this weekend long event gets larger and more diverse. 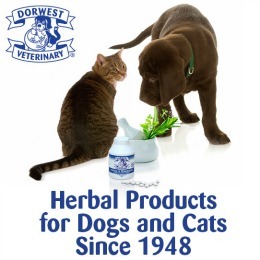 It is great to see so many pet owners and all of their different pets come together. This means tickets sell fast so don’t miss your chance for next years show. I know I will be there! National Pet Show 2018 will be held on the 3rd and 4th of November at its usual home of Birmingham’s NEC.